Career opportunities for Aggie Meteorologists are sky high! The Department of Atmospheric Sciences in the College of Geosciences is one of the largest meteorology programs in the nation and the only comprehensive undergraduate, graduate, and research programs in Texas. ­ Atmospheric science is the study of weather analysis and predictability, climate and global change, the circulation of the atmosphere relating to weather systems and their impact on the Earth, air quality, and other atmospheric processes that affect us. Discovery and understanding in Atmospheric Sciences is critical to our resiliency, and preparedness ­so that we may meet the most pressing challenges of our atmosphere-dependent systems. 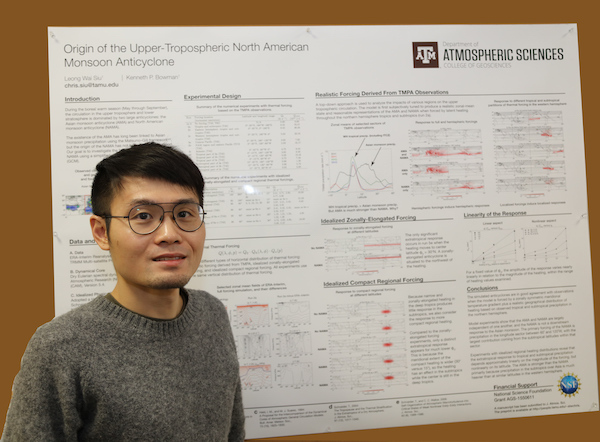 The Atmospheric Sciences faculty was awarded a Texas A&M SPRINT grant to conduct a pilot international research project. 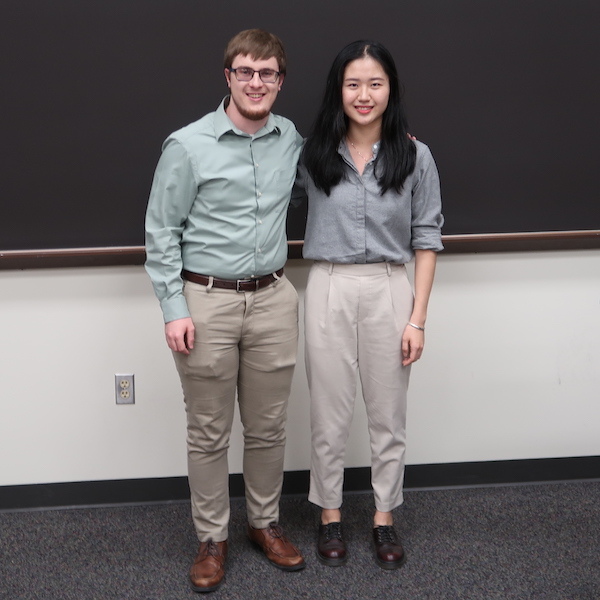 Hedanqui Bai and Matthew Brown won awards for the best graduate student presentations for the 2018 spring and fall semester Graduate Student Seminar Series. 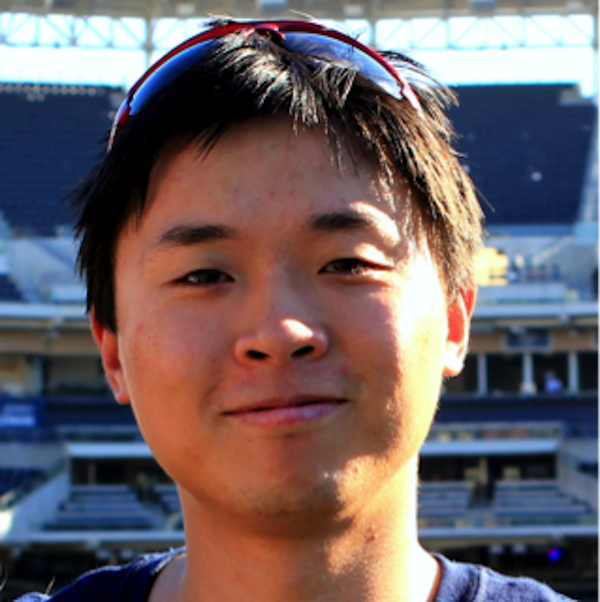 Chris Siu won a poster award at the American Meteorological Society 20th annual Middle Atmosphere Conference.